I haven't even been on the forum in so long! Holy cow! 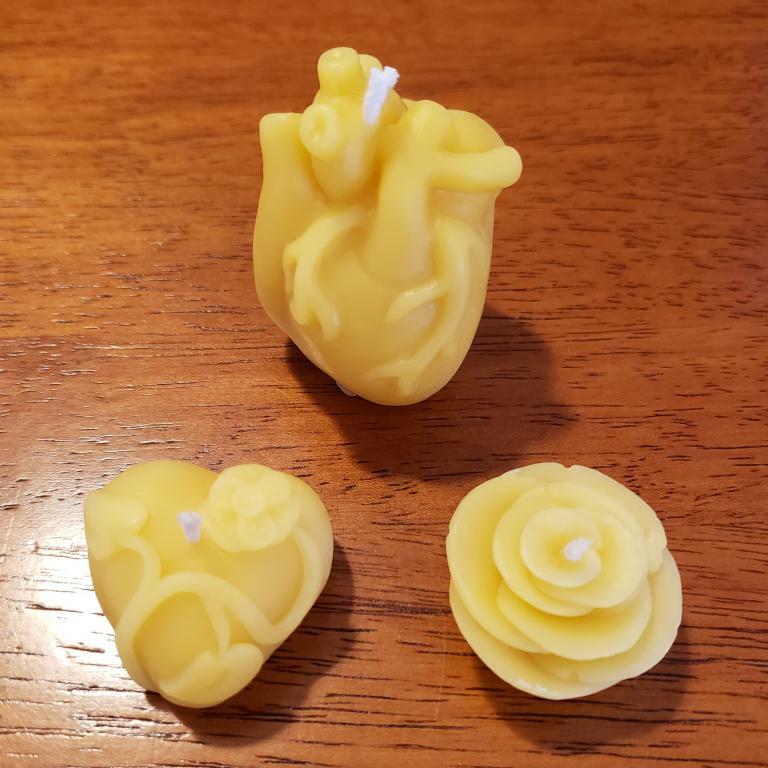 Anyways, I've been getting more into sculpting and trying to make my own candle molds, and these three are my Valentines themed works. The little rose is only .25 ounce of beeswax! That's all, but it has a 1 hour burn time! The little decorative heart is .5 ounce and has a 2 hour burn time. The human heart is 1.5 ounces and has a 4 hour burn! I sculpted all of these things by hand, then made the silicone molds. There's probably about $30 in materials that made the three molds. I've possibly got something bigger coming next, maybe up to 3 or 4 ounces. We'll see. @MrDan that human heart is gross but wonderful. The workmanship is fantastic!! And I love the originality! The floral heart and Rose are lovely, and while not as novel, they are works of art as well. I've missed seeing your wonderful creations! Oddly enough, I was only planning on making the human one, but then my wife's coworkers kept asking when I was going to do the traditional Valentine's candles, so I had to pop those out real quick for them! I'll admit that they're a little lackluster, and I'm not really happy with them artistically, but they're selling better than the human heart.